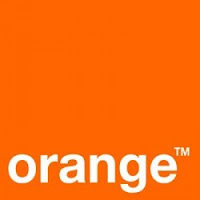 #Orange today announced it has entered into a firm agreement with Cellcom Telecommunications Limited to acquire, through its subsidiary Orange Côte d’Ivoire, 100% of Cellcom’s Liberia subsidiary, the leading mobile operator* in Liberia, with the strongest market commercial momentum. international development strategy of Orange, which aims to accelerate its growth by entering new emerging markets with high potential. This will enable Orange to strengthen its positions in Africa, which is a strategic priority for the Group. Liberia is a country of over 4.3 million inhabitants, with a mobile penetration rate of 66%, lower than in many neighboring countries. With a national mobile license and its significant market share in the country in number of subscribers, Cellcom has excellent potential for growth over the coming years. Orange is listed on #Euronext Paris (symbol ORA) and on the New York Stock Exchange (symbol #ORAN).